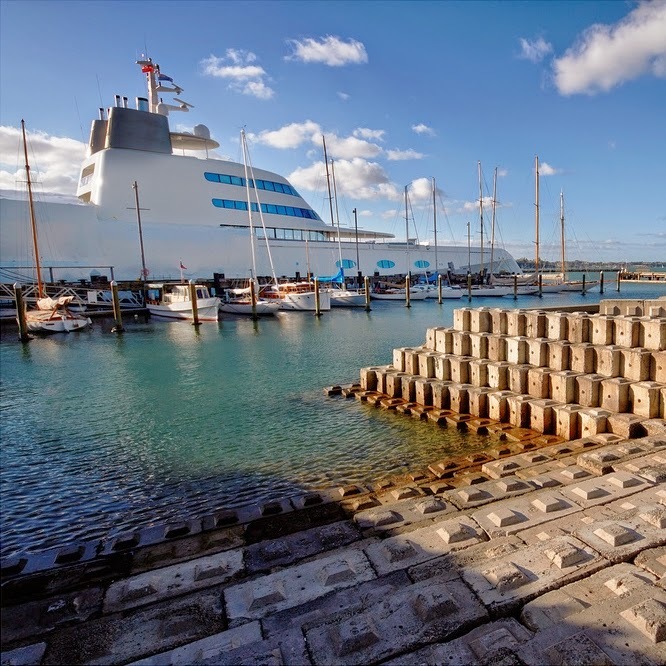 Auckland waterfront is one of the favourite places for super yachts to moor around and Aucklanders have a wealth of chances to view these beautiful creations. New Zealand is also good at boat building and some of them might have been built here in this country. This one is a humongous yacht. One can imagine she is well equipped with a swimming pool (or two! ), one or two music rooms and cinemas. Small zoo for reptiles, amphibians and etc. but maybe not elephants. Her several guest suites will each have an assigned butler. I would not be surprised if she also housed a private museum with a collection of Ming ceramics or some original Impressionist paintings. The easiest to use Video Recorder Software for Network Cameras. Strawberry Marshmallow Shortcake – Wickedly nice! Only a few but will keep on trying! Copyright 2011-2015 : W O K A R E L L A : Kay Prangnell. Simple theme. Powered by Blogger.